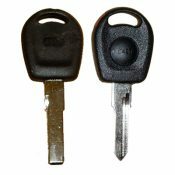 A key for Seat cars manufactured between 1970 and 1994 cut to number or photo. 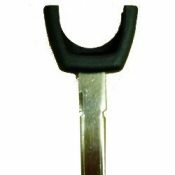 A key blade for Seat flip key remotes, cut to the locks on your car. This blade can be fitted to any VAG flip-type remote. Models Include: Alhambra 1998 on, Altea 2004 on, Ibiza 2004 on, Inca 2003 on, Leon 2004 on. Models Include: Cordoba 1999-2001, Ibiza 1998-2004, Leon 1998-2005, Toledo 1999-2002. An emergency key for Seat cars with laser cut keys, cut to the locks on your car. 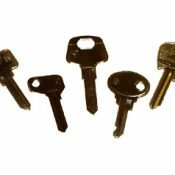 This key will suit most models from 1998 onwards. A key for Seat cars, cut to it the locks. This includes the transponder chip, which will need to be programmed to your car in order to disarm the immobiliser. 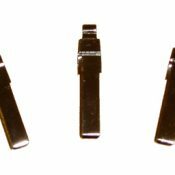 This key will suit most models from 1998 to 2004.